For 2016, the Buick Regal does away with the eAssist mild hybrid powertrain and introduces a new 2.4-liter engine for base models. The 2016 Regal also gets an improved version of IntelliLink as well as Apple CarPlay® compatibility, along with other minor equipment updates. Need a reminder that the finer things in life are attainable? Look no further than the 2016 Buick Regal. The 2016 Regal features a long list of smart amenities fit for a king, but without the eye-gouging sticker price often associated with such an elite vehicle. Indeed, the 2016 Regal represents good value for your money. Its long list of luxury features will appeal to your sensibility as an intelligent car buyer, while the Regal’s available 2.0-liter turbocharged engine will undoubtedly appeal to your senses. Whether you’re looking for something practical, sporty, or efficient, the 2016 Buick Regal has you covered with several powertrain options. If it's increase performance you're after then we encourage you to explore the Regal GS. It sports a turbocharged 2.0-ltier four-cylinder engine rated at 259 hp and 295 pound-feet of torque, an upgraded suspension, multiple driving modes, and—enthusiasts rejoice—an available six-speed manual transmission. Not interested in a manual? That's OK! The Regal GS comes standard with a six-speed automatic transmission. It's worth mentioning, however, that GS models can be upgraded to AWD., but when doing so, the GS AWD is only available with the six-speed automatic. 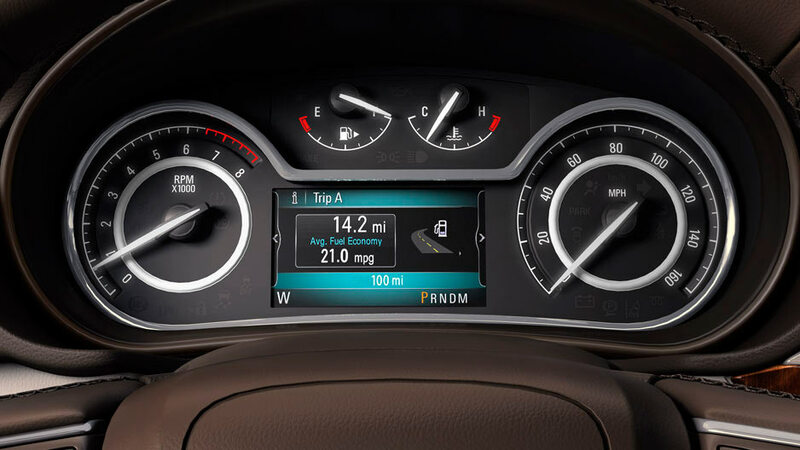 Standard equipment includes 18-inch alloy wheels, fog lamps, dual-zone automatic climate control, Bluetooth®, and a rearview camera, steering wheel controls, Buick IntelliLink AM/FM/CD with Sirius XM Satellite Radiio, OnStar® 4G LTE Wi-Fi hot spot capability, and many other features. The Premium II model adds chrome-accented door handles, rear park assist, a heated steering wheel, and other niceties. 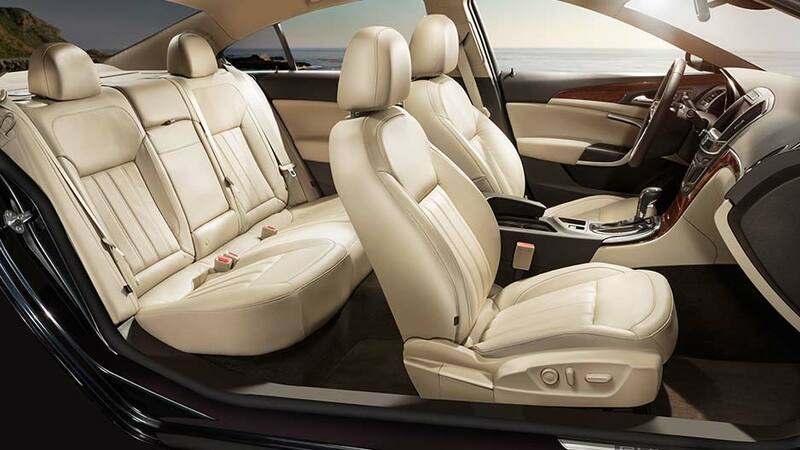 In addition to applicable features from the base model, the Premium II trim level includes HID headlights, a Bose® Premium sound system, and the Buick IntelliLink Radio with Navigation infotainment system that’s optional on the other two trim levels. The top Regal trim level is the GS, which has the most equipment as well as the above-mentioned performance equipment. That includes standard HiPer Strut front suspension and Brembo® front brakes, as well as some aesthetic enhancements like unique front and rear fascias and dual stainless steel exhaust tips. The GS also boasts 19-inch wheels. The 2016 Buick Regal blends traditional American styling with some European flair. It’s based on the European-market Opel Insignia, and so casts a smaller shadow than the big Buick barges of old with simple, clean lines. 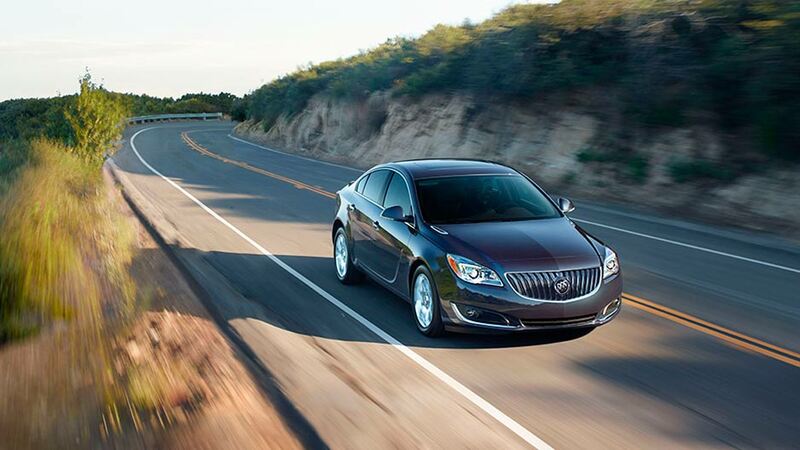 The Buick waterfall grille compliments that look nicely, as do the GS model’s aggressive front intakes. The interior is also cleanly designed, putting everything within easy and logical reach. The standard three-spoke leather wrapped steering wheel features redundant audio controls, and an available Driver Instrument Display puts a virtual binnacle between the speedometer and tach. The center stack can be optioned with its own touchscreen, or you can just use the standard “soft touch” buttons to turn on the air conditioning and tune the radio. The 2016 Buick Regal comes standard with an array of active and passive safety features, including anti-lock brakes, stability and traction controls, and front, side-impact, and curtain airbags. Rear-seat thorax airbags are optional. Other optional features include Automatic Collision Prevention—which can apply the brakes when the car senses an imminent collision—lane departure warning, Rear Cross-Traffic Alert, and blind-spot monitoring. The 2016 Buick Regal continues to offer sophisticated styling and intelligent features at a more attainable price, and proves that you don't need to fork out princely sums to acquire luxury worthy of royalty. 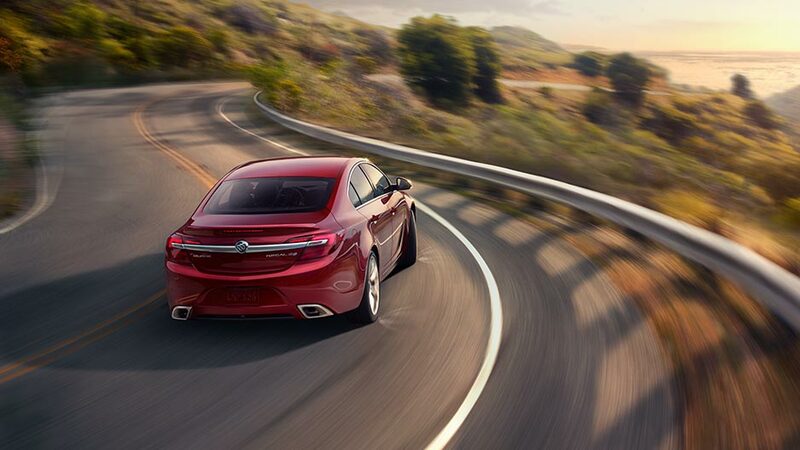 For more information, or to test-drive the 2016 Regal, contact or visit us at Rivertown Buick GMC today.